Kylie is excited to announce the release of the DVD/2CD and Blu-ray/2D for her Kiss Me Once Tour. 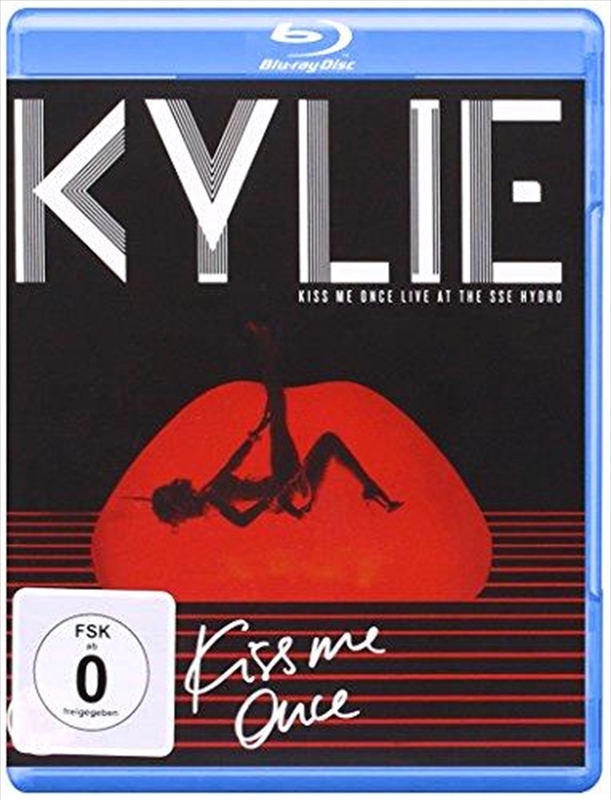 The DVD portrays Kylie performing the latest album ‘Kiss Me Once’ Live in Glasgow at the SSE Hydro. She performs hits like, “Sexercize”, “Spinning Around” and “Can’t Get You Out Of My Head”. With worldwide album sales of over 70 million, ‘Kiss Me Once’ is Kylie’s fourth album to reach the coveted top spot on the ARIA Album Charts. It has been 14 years since Kylie’s first #1 with ‘Light Years’ in 2000, followed by the 7xPlatinum, ‘Fever’ in 2001 and ‘X’ in 2007.